Ships today if you order in the next 15 hours 55 minutes. The endocrine system is made up of glands that produce hormones. These chemical messengers regulate things like metabolism, growth, and sexual development and function. Key endocrine glands include the thyroid, hypothalamus, pituitary, adrenals, pineal and reproductive organs. 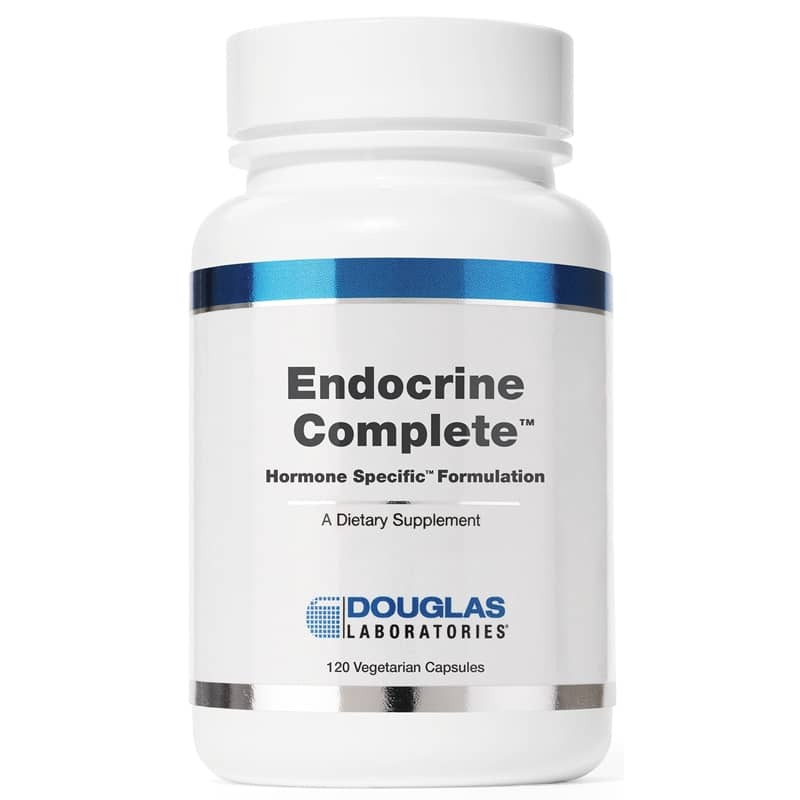 Douglas Laboratories offers a dietary supplement called Endocrine Complete™ that seeks to support hormone and endocrine system health. This supplement does not contain gluten, yeast, wheat, corn, milk/dairy, sodium, sugar, GMOs, artificial colors or artificial preservatives. If you're looking for a dietary supplement that contains the essential nutrients and herbs for hormone health and endocrine system support, check into Douglas Laboratories' Endocrine Complete™. Order online today! 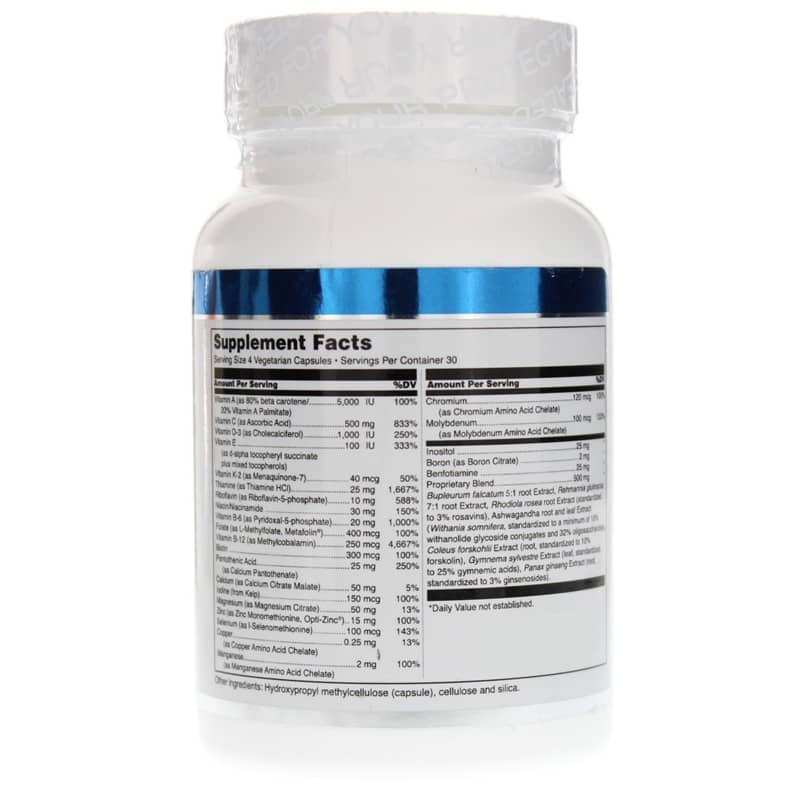 ---Bupleurum falcatum 5:1 root Extract, Rehmannia glutinsosa 7:1 root Extract, Rhodiola rosea root Extract (standardized to 3% rosavins), Ashwagandha root and leaf Extract (Withania somnifera, standardized to a minimum of 10% withanolide glycoside conjugates and 32% oligosaccharides),Coleus forskohlii Extract (root, standardized to 10% forskolin), Gymnema sylvestre Extract (leaf, standardized to 25% gymnemic acids), Panax ginseng Extract (root, standardized to 3% ginsenosides). Contains NO: yeast, wheat, gluten, milk/dairy, corn, sodium, sugar, starch, artificial coloring, artificial preservatives or genetically modified organisms (GMOs). Adults: Take 4 capsules daily with food, or as directed by a healthcare professional. 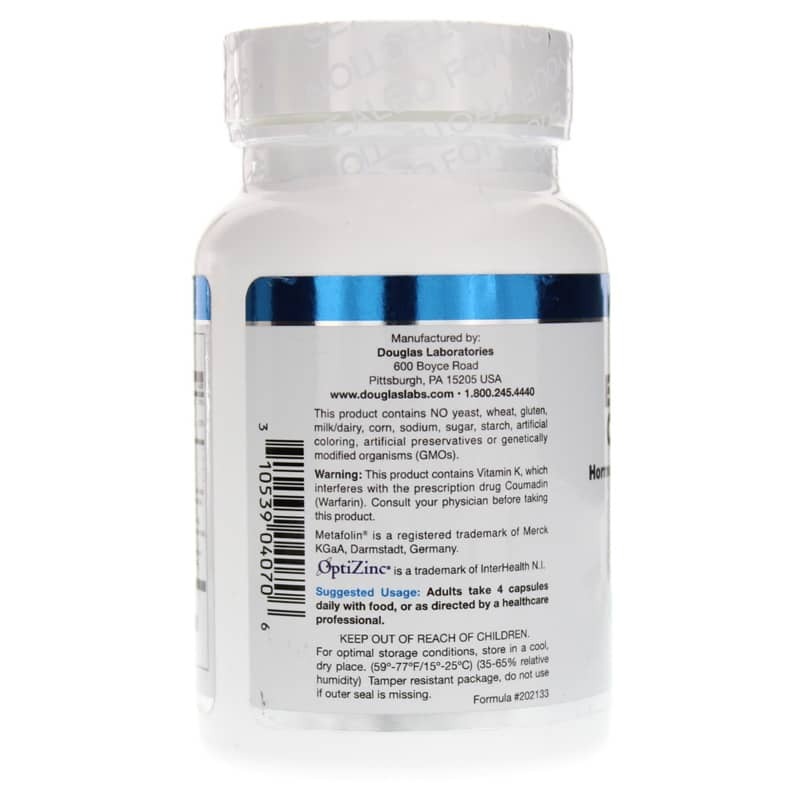 This product contains Vitamin K, which interferes with the prescription drug Coumadin (Warfarin). Consult your physician before taking this product. Keep out of the reach of children.